High value Tridents are normally only seen on Money Transfer Forms and, less often, Parcel Cards. Often they are clipped or punched. 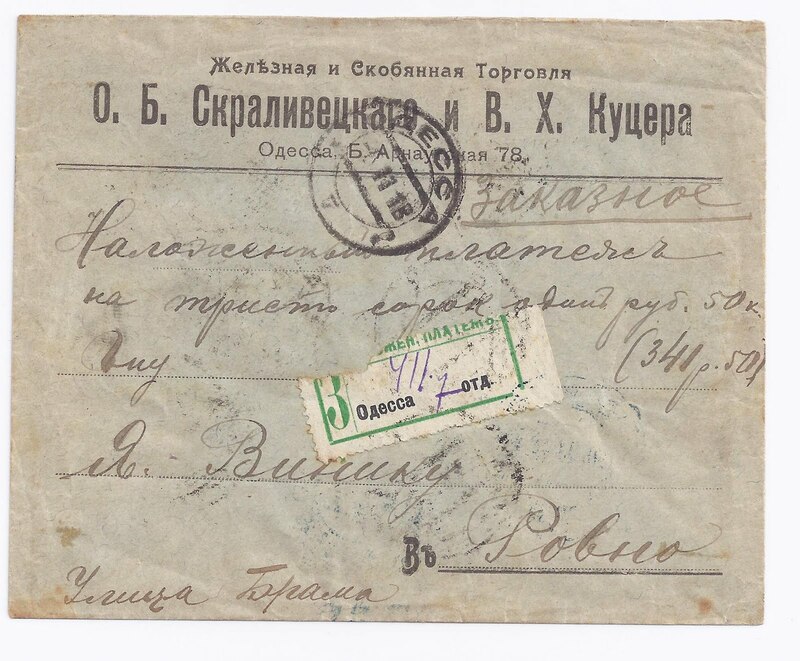 I believe that there was once an archive of letters from this period and to this address in Rovno; I am sure I have seen other examples. Some of them may have had the front removed, so that they are only cover backs. At one point, I had in my collection (ex Lindenmeyer if I recall) part of a cover back to Rovno with a high value franking including a couple of Kyiv Type E stamps. One or more stamps had been clipped from the cover back. 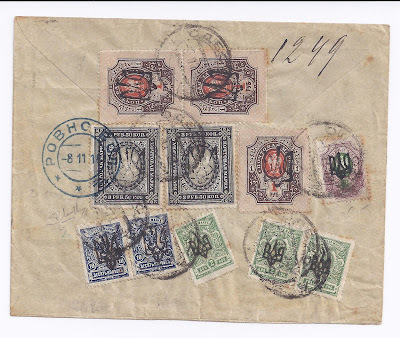 I let Ron Zelonka have this item: whatever Kyiv E was, the existence of the cover back implied that it was a non-philatelic type.